One of the best things about the 4th of July is hanging with family, eating delicious food, and of course, catching a fireworks show! What’s even better? Almost all fireworks shows are free! So grab a blanket or chair, load the family into the car, and wish America a happy birthday with a great fireworks display. 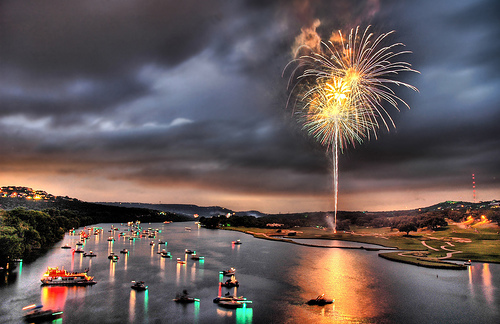 Fireworks in Kaboom Town began in 1983 and have continued as an annual tradition ever since. Texans love this show – and you will, too! 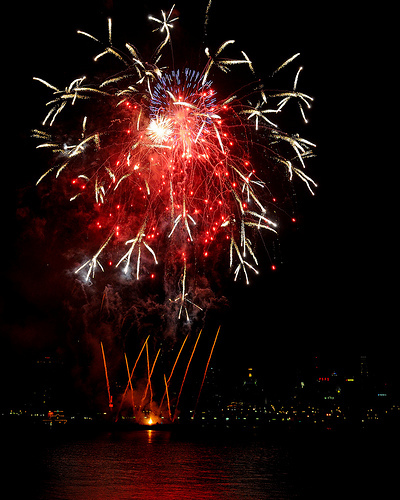 New Orleans is home to the Go 4th on the River Dueling Fireworks Extravaganza! 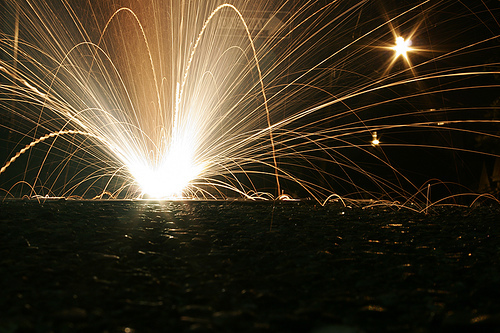 Ever see two barges battle it out with fireworks? Grab a bowl of jambalaya, find a seat near the levy, and watch the fireworks paint their own incredible story! 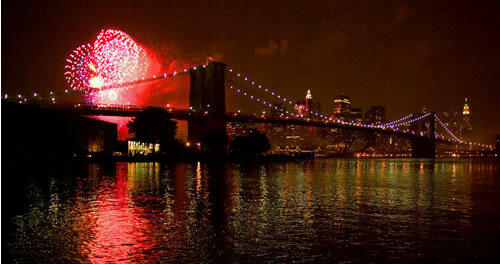 The Macy’s Fireworks Spectacular begins over the East River each year. In addition to the fireworks, fireboats in the river shoot patriotic streams of fire high into the air. Music is broadcast by local radio stations and the entire event is shown on national television by the local NBC station right there in the city. 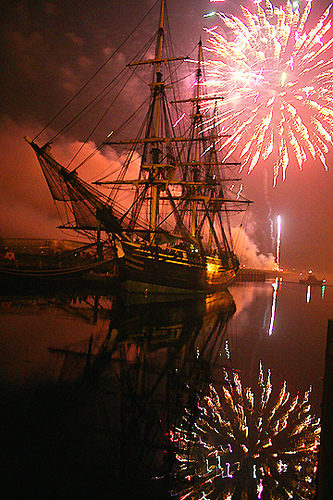 The fireworks display in Boston has been a history event for over 30 years. The Boston Pops Orchestra plays an annual 4th of July Concert each year. The concert and show always includes new music by the Boston Pops Orchestra – but will always end with the 1812 Overture! The Sunoco Welcome America celebration in Philadelphia, the birthplace of our country, lasts for a full week. The city of Philadelphia is full of activities for families, including concerts and movies. The 4th of July will feature a party on the parkway before the annual concert and the fireworks display over the Philadelphia Museum of Art on the Ben Franklin Parkway.